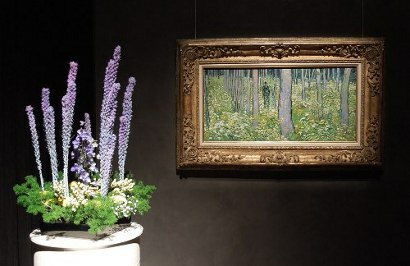 This year more than 70 floral interpretations will highlight works of art throughout the museum from Antiquities through Contemporary, all works chosen by the museum curators to bring attention to works of art that they feel are important. 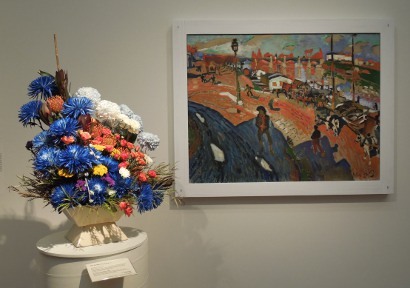 Artists, professional florists, and amateurs volunteer to interpret the chosen works of art in fresh flowers arranged to compliment the sculpture, painting, or decorative art item. This year students from five Cincinnati Public Schools will also participate as part of a celebration of the unique Cincinnati Public Schools Collection, part of which is displayed at the Cincinnati Art Museum. Color, texture, and even aroma stimulate the senses since no dried or artificial flowers are allowed. The limited time event runs from Thursday, October 22 thru Sunday, October 25, 2015 to take advantage of the peak beauty of the live flowers. 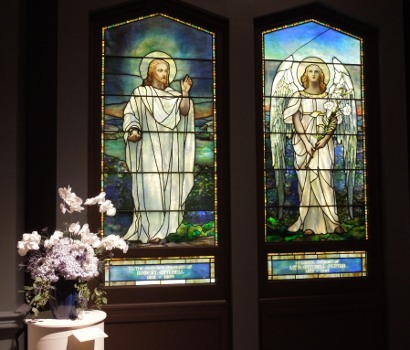 “Art in Bloom is a wonderful marriage of nature’s beauty and the volunteers’ artistic flare” said Johnson. “It’s a whirlwind four days of events for every member of the family.” Special events are scheduled for each day and often into the evening such as a gala Evening in Bloom gala on Thursday night and a Bloom Under the Moon casual Friday night event. During normal museum hours families can join Cincinnati artists to paint and sketch in the Great Hall on Saturday. Teenage artist can participate in a Young Artist Open Studio. 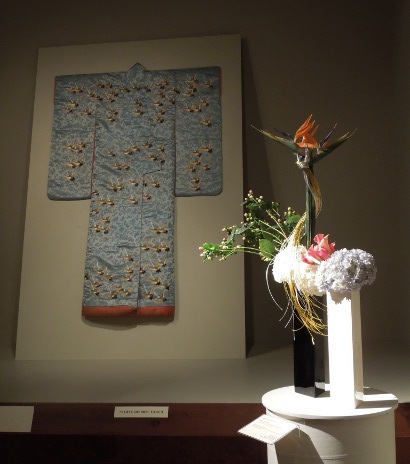 There are lunches and lectures: a Floral Demonstration and Brunch on Saturday that includes Ikebana arrangement history and a demo; an Afternoon Tea Reception; Jazz in Bloom on Sunday – and more. Some events require reservations; others do not. The museum does not charge an admission fee. There is a $4 parking fee for non-member visitors. NOTE: The museum’s Terrace Café is very popular, even more so during Art in Bloom, so place reservations early. DISCLOSURE: In 2013 I participated in Art in Bloom and the images shown here are from that event. This year I am involved in Art in Bloom 2015 as a volunteer for several events and I will be doing floral interpretations for 3 works of art: Volute Krater, Gallery 102, Secretary, Gallery 218, and Cabinet (Pakistani), Gallery 143. 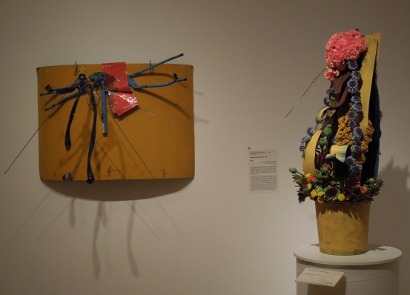 For me, participating in Art in Bloom allows me the opportunity to design arrangements to interpret or compliment the objects selected by the museum staff. 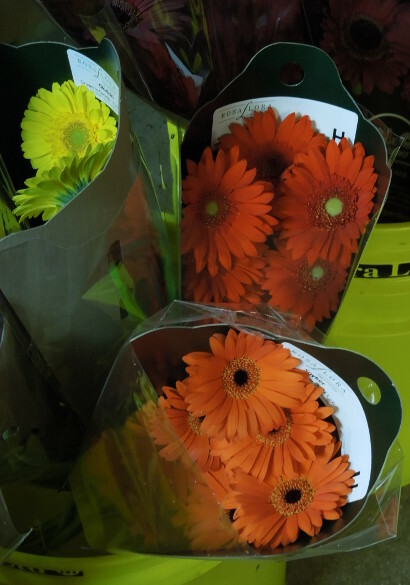 I love going into the locker at the wholesale florist to see all of the options available – so many beautiful flowers!